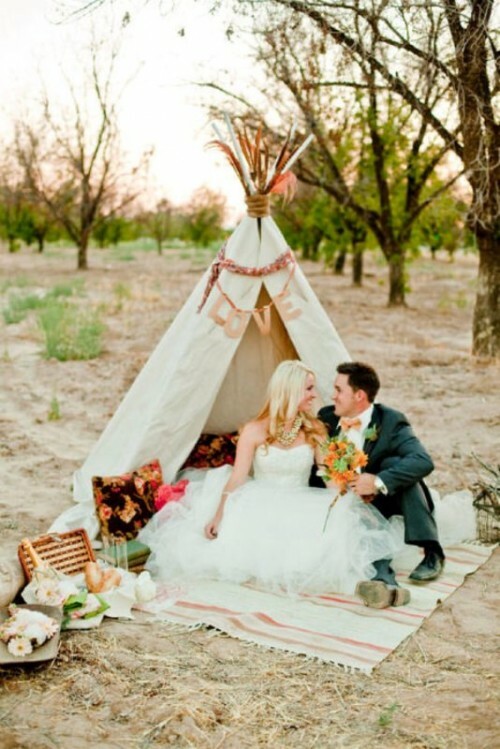 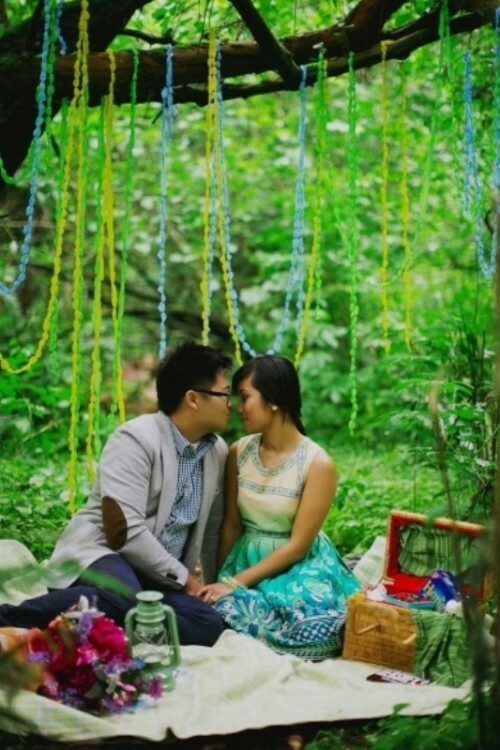 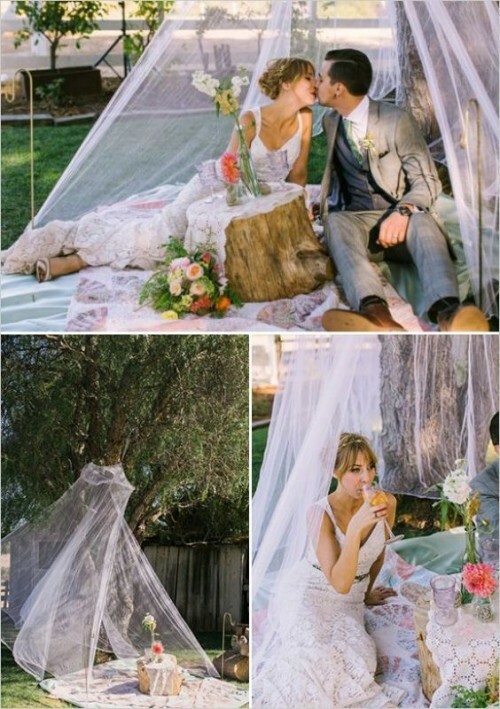 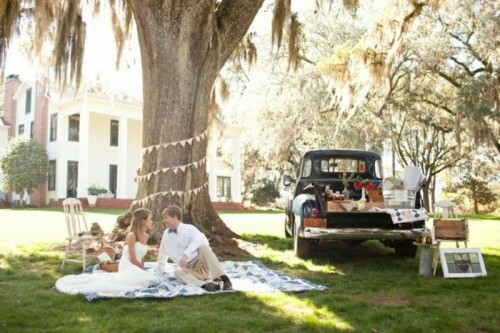 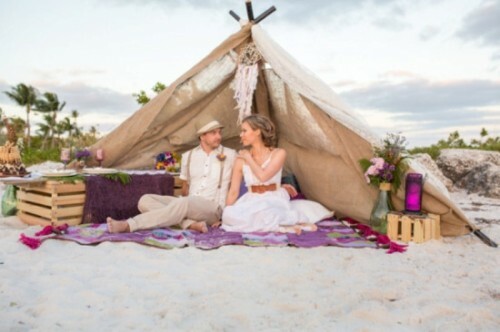 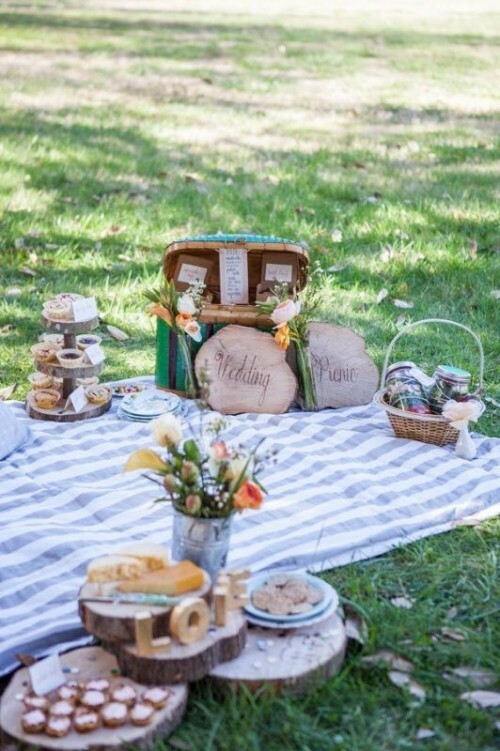 Along with the elopement weddings, very intimate, sweet and romantic, there’s another trend, which is gaining popularity, – wedding picnics. 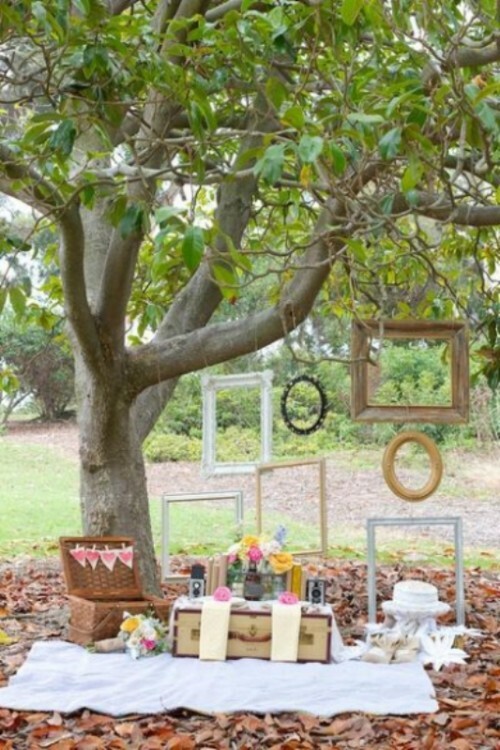 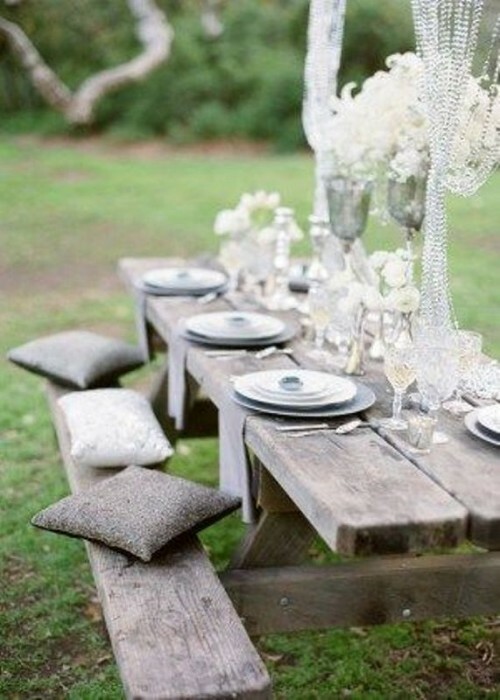 It’s an unusual and bold yet perfect idea for small gatherings outdoor, especially in summer. 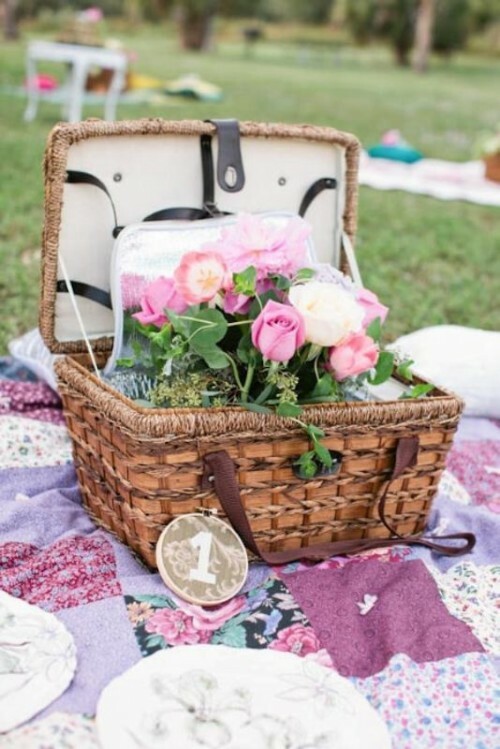 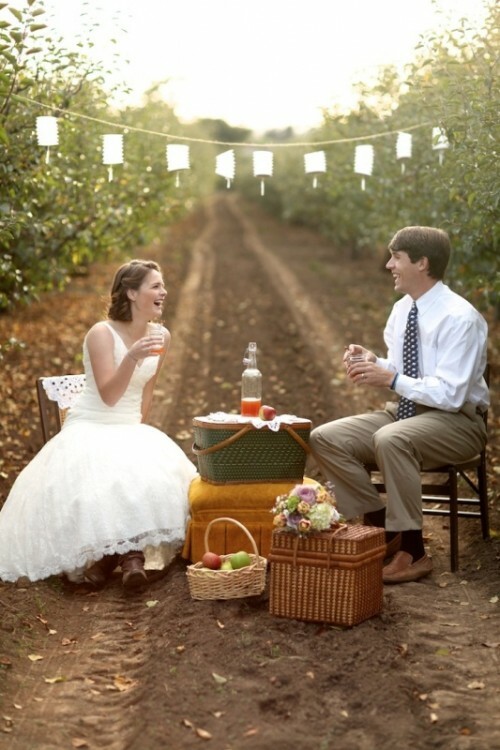 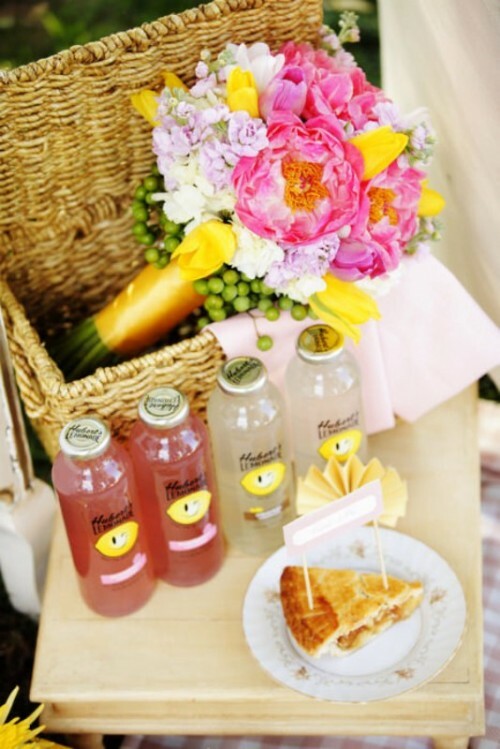 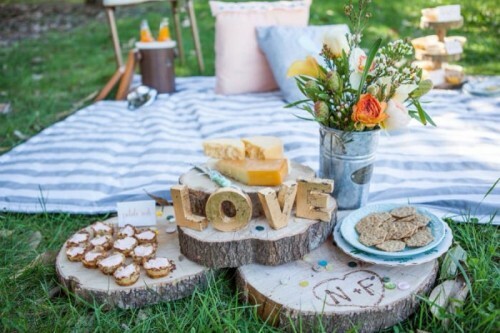 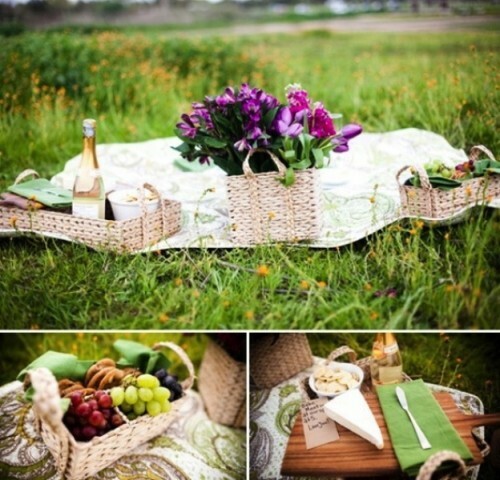 It might seem tricky to organize something like that at first, but there’re many ways to incorporate a stylish picnic into your big day! 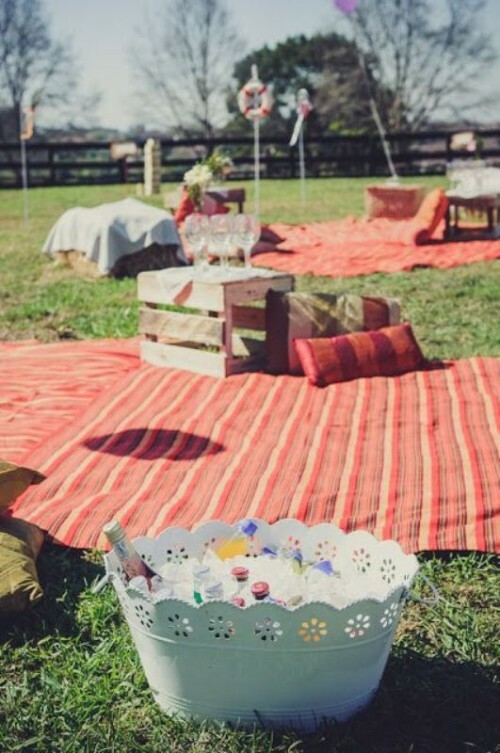 Basically, you need to choose some theme like a Moroccan party or an elegant garden picnic and focus on decorating your outdoor venue in this style. 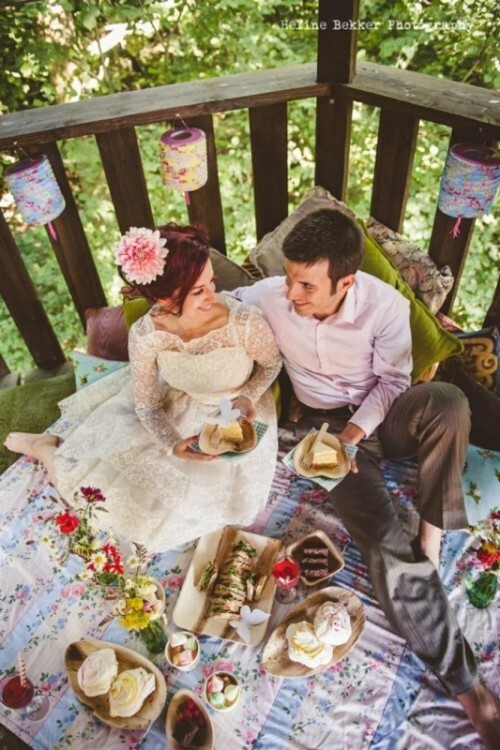 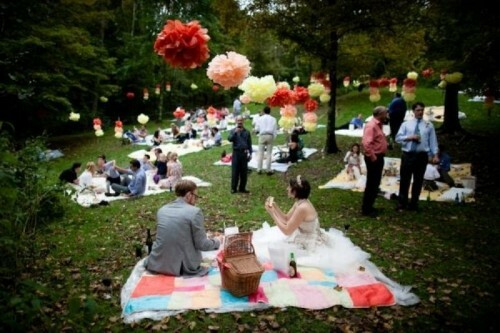 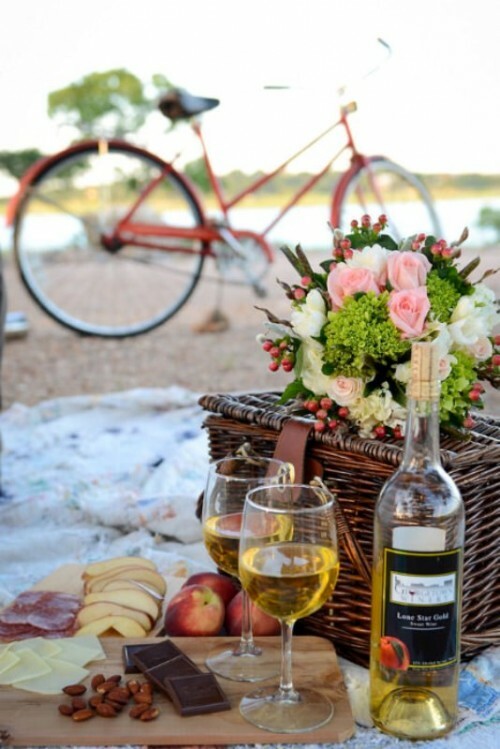 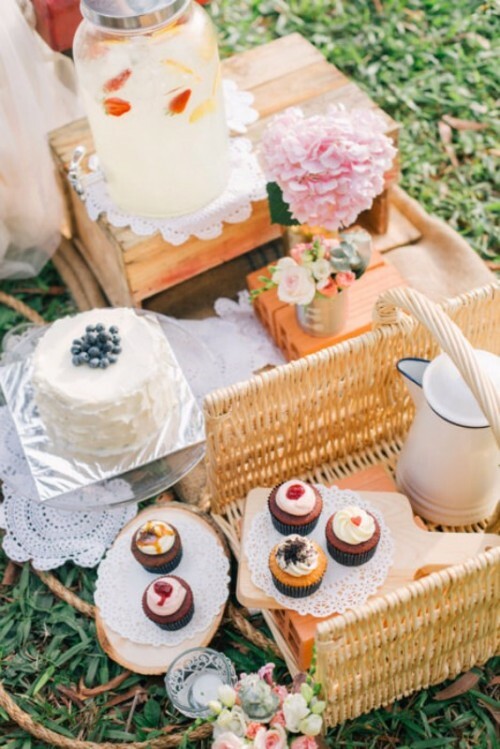 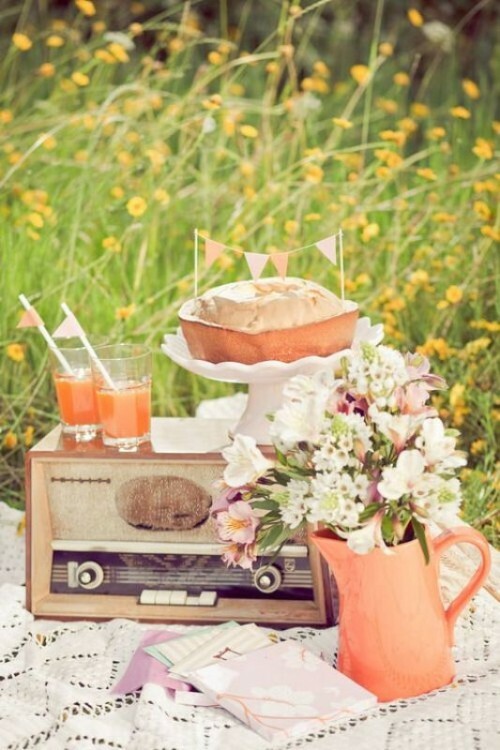 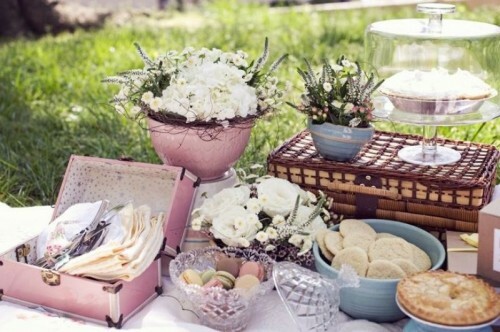 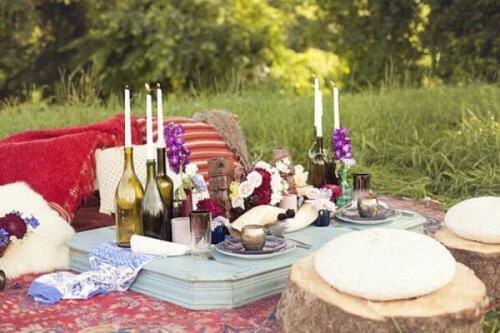 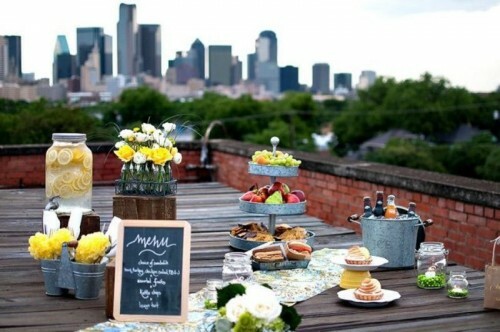 Then you just need to go from there: for example, for a vintage-inspired picnic include a wide offering of cupcakes and desserts with wine or flavored water. 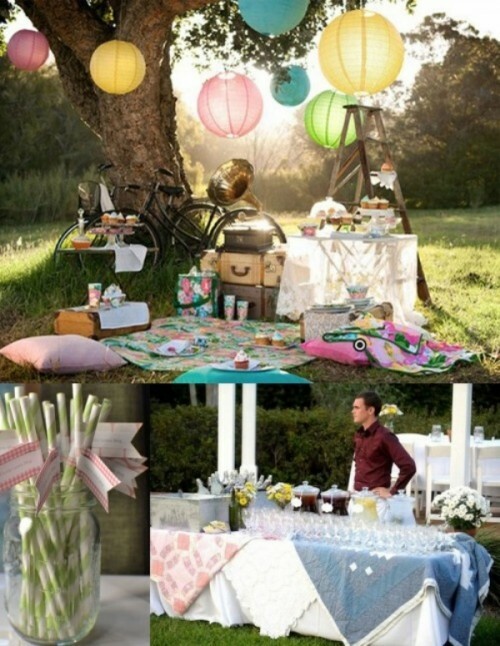 Look at some inspirational ideas in the gallery below!